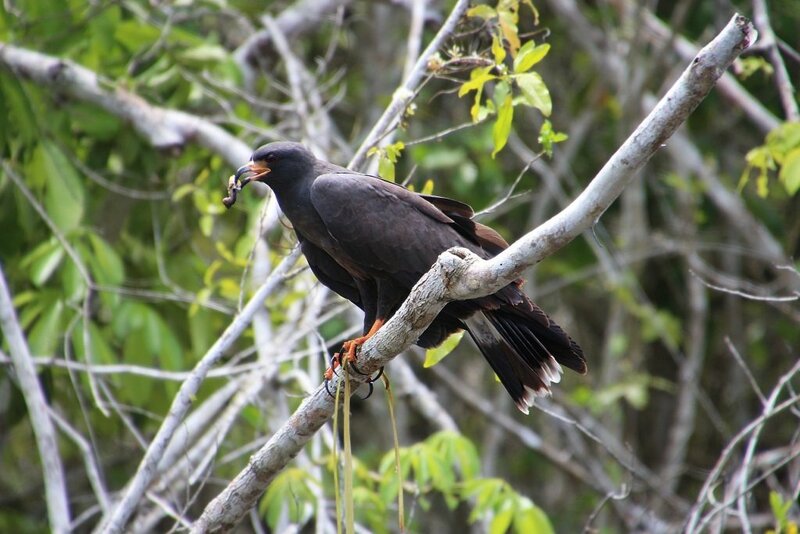 After I finished my trip to Mexico together with my husband Timo, I continued with my backpack to Belize. 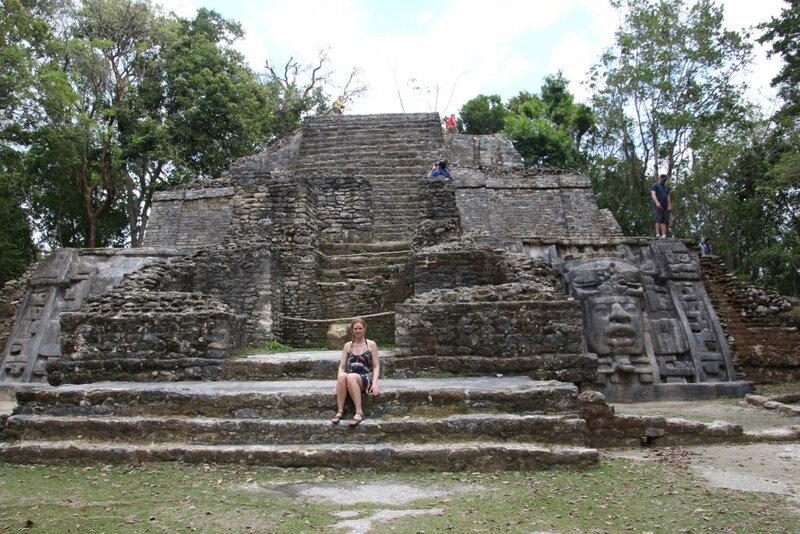 Even I have seen a few Maya temples and ruins in Mexico, Lamanai in Belize was on my list. 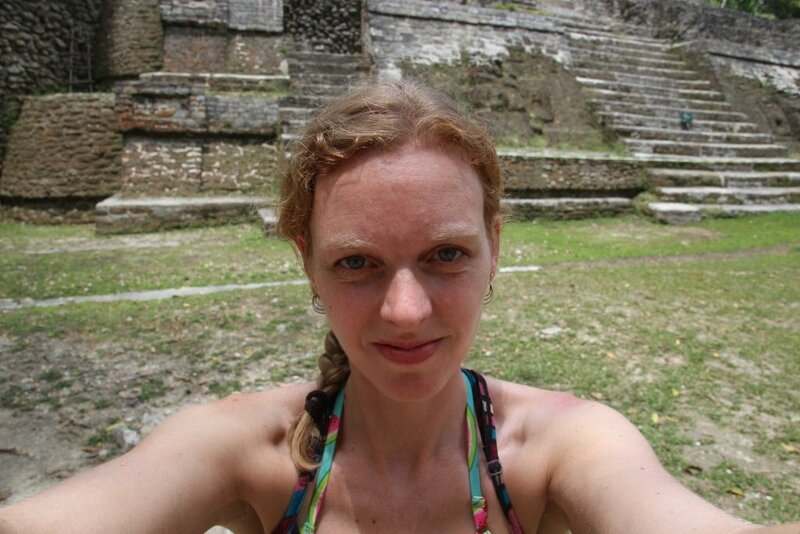 The same evening when I arrived in Orange Walk town I booked a tour to Lamanai ruins for the next day. 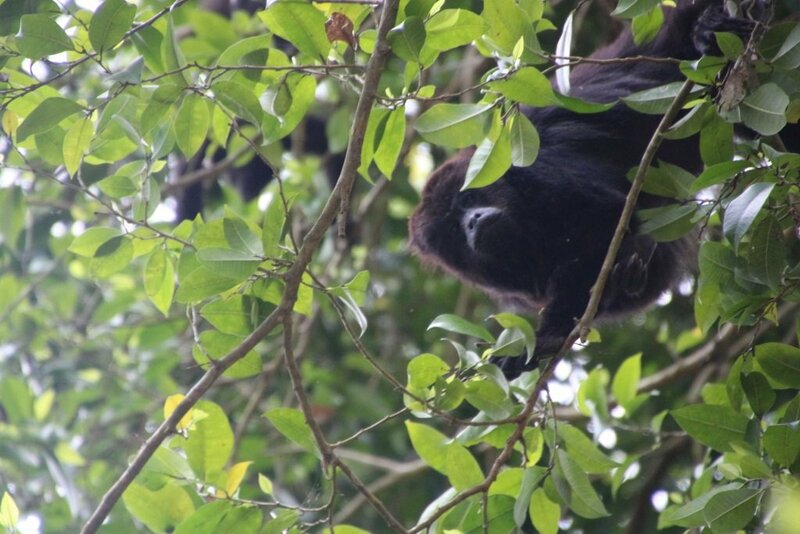 Lamanai is best reached from the river and most people will book a tour. The tour started at 9 A.M. They dropped me off at the boat dock next to the river. A Canadian couple and 3 American woman were already waiting. Apparently we had a boat with motor problems and when they finally fixed it a family with 2 small children joined the tour. The boat ride was about 1 hour and 15 minutes. 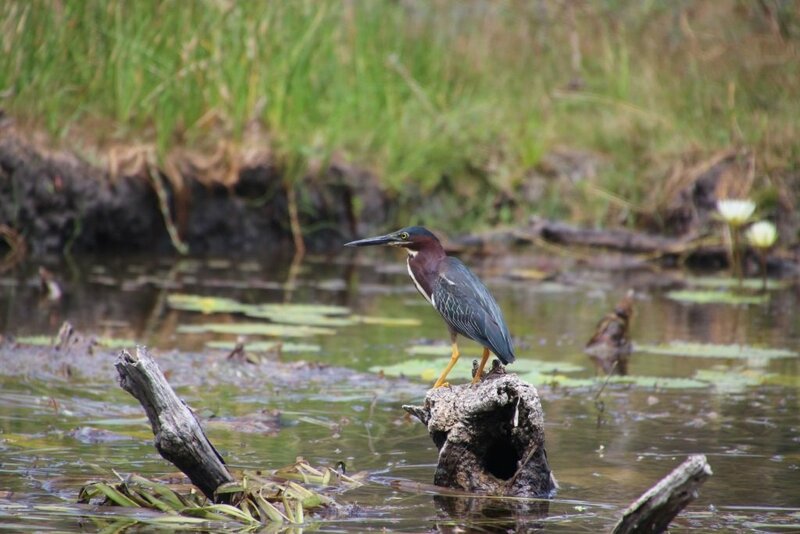 Along the way we spotted different species of birds. 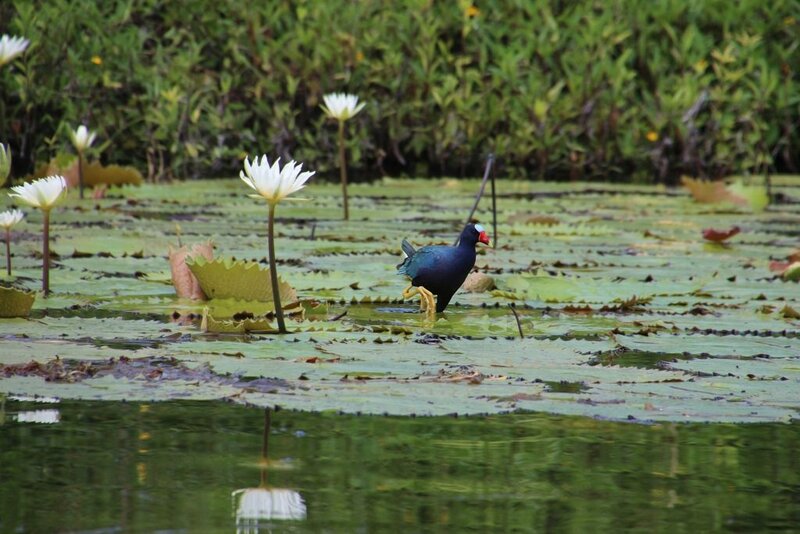 The view was scenic with Lilly pads and its beautiful flowers. We had a guide named Amir and a young guy who was a help on the boat and with the lunch. 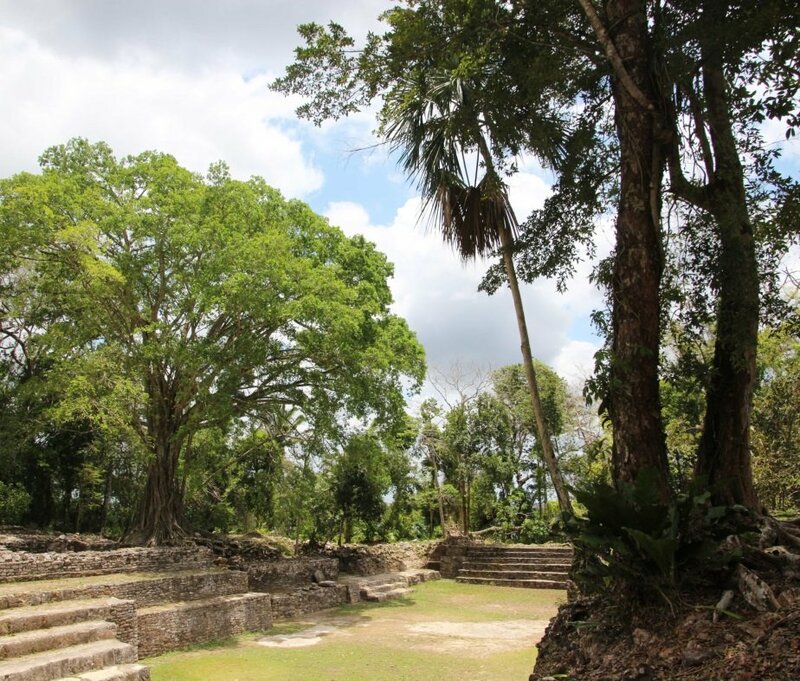 Lamanai is one of the oldest occupied sites from about 1500 BC. 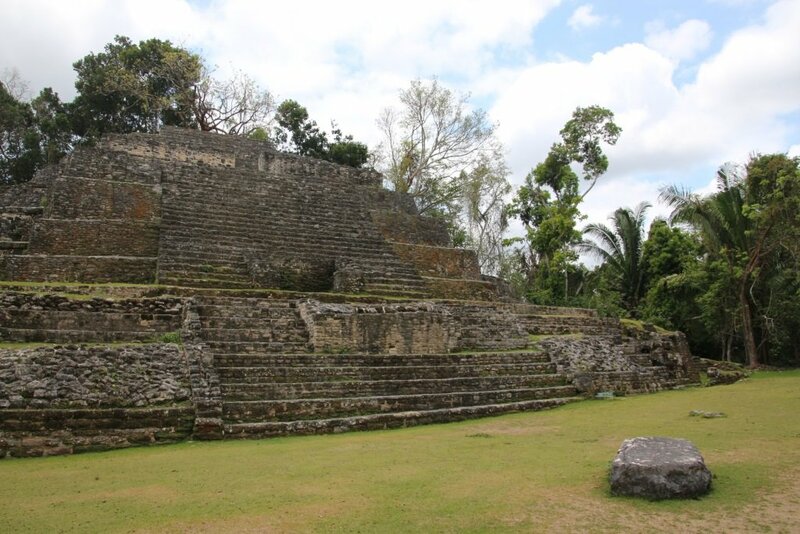 It is located on 950 ares and it is one of the largest Maya sites of Belize. A huge part of the site is still not yet revealed and is buried under the ground and jungle. 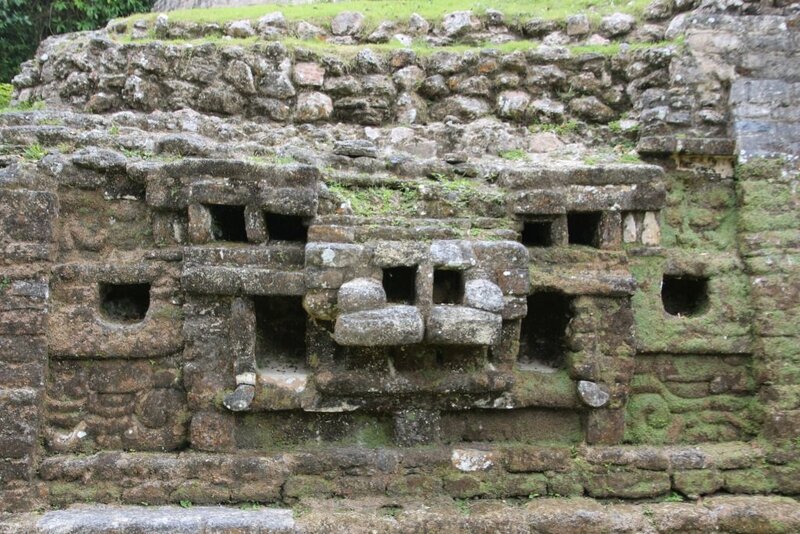 Lamanai means crocodile, which explains why there were many crocodile figures found on the site. With Amir we started walking a trail. 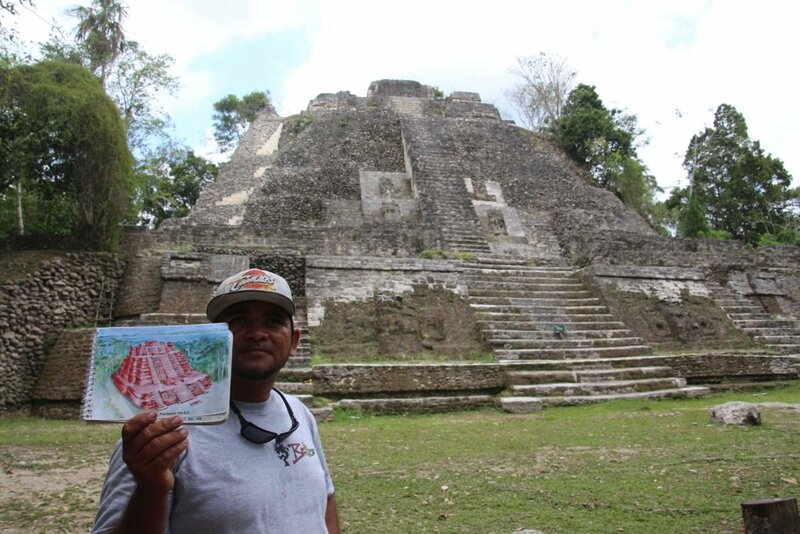 Amir had a lot of knowledge about plants and trees with the use in the Mayan culture. It was very interesting to listen to his stories. They found out were the King should have lived. They did a nice job to restore this part. 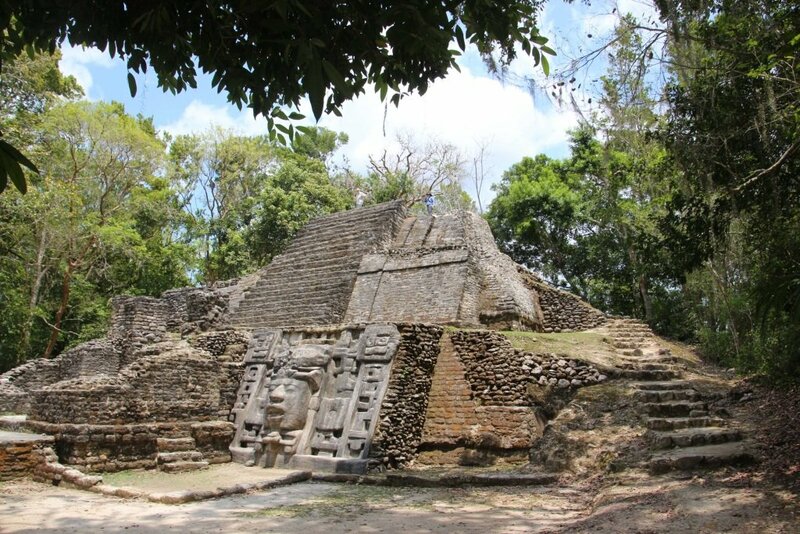 Large pyramids temples are dominating the whole site. The largest is 33 meters high. Some you can climb and others you can’t. The view over the river and jungle is fascinating. The sand flies a little less. 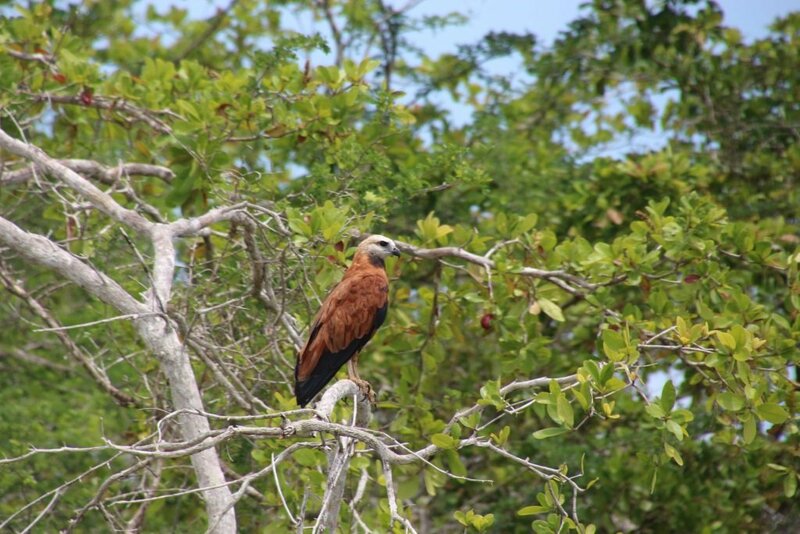 We managed to spot a few howler monkeys and in the distance we saw a toucan and parrot flying away. Unfortunately we didn’t get to see the up close. 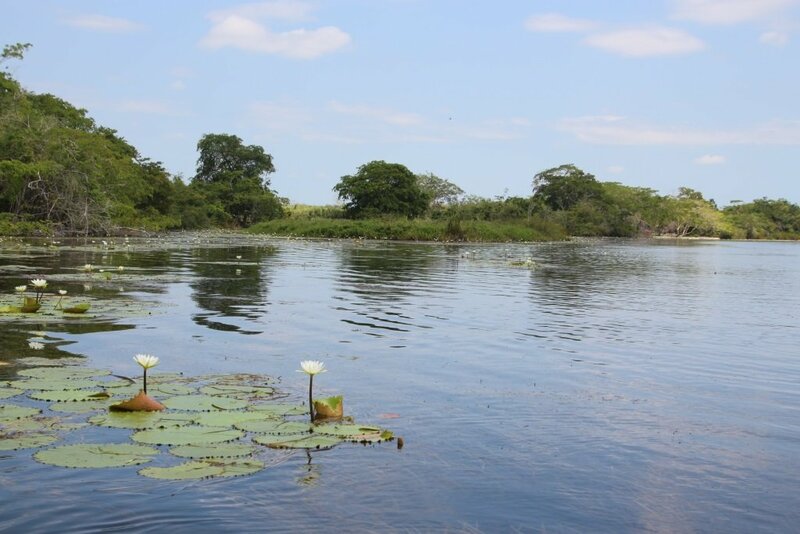 While they are still reconstructing this area, the scenery made this place excellent to visit. It is quiet, not overrun by hordes of tourists. 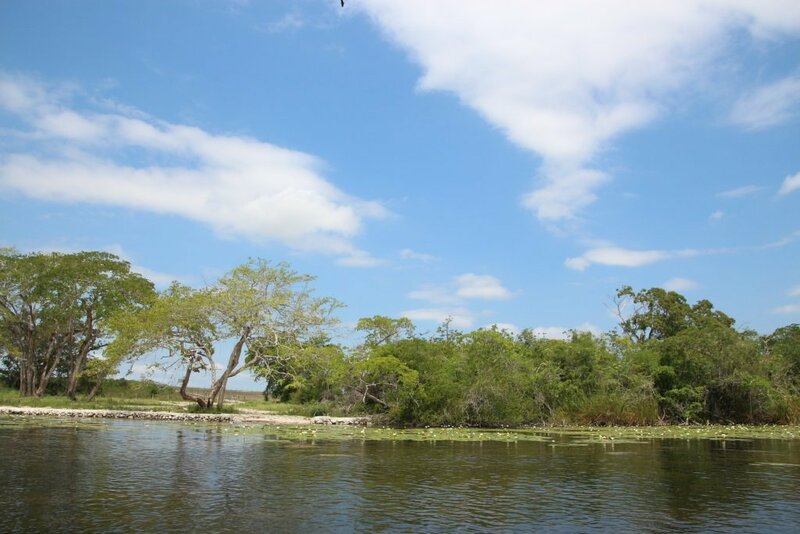 The best way is to get a tour from Orange Walk, Caye Caulker or Ambergris Caye. For the last two you need a full and long day. I paid 50 US Dollars including a lunch and entrance fees at my hostel in Orange Walk. If you shop around, you might safe 10 US Dollars.